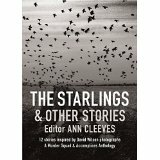 Original Crime fiction Collective, Murder Squad, have recently published their latest anthology of short stories, The Starlings & Other Stories, although this time out they have sought the collaboration of six other big name crime writers to bring to life the stunning photography of David Wilson. 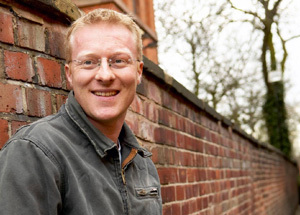 Here Chris High talks with Squad member Chris Simms about the collection and – to coin a phrase – other stories. What was it about David Wilson’s photography that inspired the idea behind The Starlings & Other Stories? David Wilson’s atmospheric photographs of the Pembrokeshire countryside carry, in his own words, ‘an eerie sense of foreboding.’ The staff at Graffeg – who had published a couple of anthologies of David’s work – thought they would make ideal images to accompany crime fiction. Then, following a chance meeting with Ann Cleeves, the idea was hatched to pair stories with images, rather than the other way round. It was a challenge everyone in Murder Squad was intrigued by – especially once we saw just how much drama was captured in each image. Your story, The Wizard’s Place, concerns a group of overly-inquisitive children and has a sort of Kes kind of feel to it. Was this deliberate and are short stories something you enjoy writing? I wanted to explore both the dialogue and mentality of young boys. I remember, at that age, conjuring up fantastical schemes which – in the eyes of any adult – would have been completely ridiculous. Fortunately, my schemes weren’t so fraught with danger as those of the boys in The Wizard’s Place. Yes – short stories are immensely enjoyable as they give you the chance to try new things away from the more highly-pressured environment of a novel. Stephen King once said: “A Short story should be like a kiss in the dark from a stranger.” Is this something you agree with? I can see his point: there is a fleeting quality to a good short story. It touches you unexpectedly and is then gone. Mr King was on the money yet again! The “Cast” listfor The Starlings is an impressive array of writing talent that comprises Murder Squad, along with six non-Squad member authors: Christine Poulson, Helena Edwards, Toby Forward, Valerie Laws, Jim Kelly and Mary Sharratt. How was the process of deciding which story to include in the anthology undertaken? It was, purposefully, kept free of constraint. Once each member of Murder Squad had chosen their ‘accomplice’, we all could pick any image from David’s anthology, Pembrokeshire – regardless if that choice clashed with another writer’s. As it turned out, only two writers opted for the same image, and it’s fascinating how their stories are so different. Then it was simply a case of "let’s meet a few months down the line once all our stories are written". Again, no boundaries were set on what the stories could be about, other than they had to contain an element of crime. I think you are the newest member of Murder Squad – the first crime fiction collaborative to be established. How do you find working as a part ofthe team? It’s such a pleasure to be part of it. It’s often observed that writing is a lonely business, so it’s great to have regular contact with a group of kindred spirits – and to meet at the variety of events we do at libraries, festivals and the like. You are also heavily involved in the Crime Reader’s Association for the CWA. What role do you undertake and how would you like to see it evolve? I edit the online magazine, Case Files. It’s a bi-monthly round-up of new or forthcoming work from members of the Crime Writers’ Association. The Crime Readers’ Association is an ingenious idea that aims to increase the ties between writers and readers. The CRA site – www.thecra.co.uk – has, aside from many exclusive features by crime authors – all sorts of updates, offers and give-aways. How would I like to see it evolve? More readers becoming free members; crime is the nation’s favourite genre, so CRA members should be legion! Then, somehow, you manage to fit in some mentor work at Manchester University, write your own crime fiction novels as well and raise a family. How do you find the time? You have recently published Sleeping Dogs, the seventh DI Jon Spicer novel and there are two Iona Khan novels available. Both characters have been critically acclaimed successes. When can we expect to see either of them again? I have a couple of nice plots ready and waiting for my detectives. And, as soon as I’ve completed my current novel – a dark and disturbing one-off supernatural thriller called Rats’ Nest – then I’ll put my deerstalker back on and reacquaint myself with the world of police investigations. I think a decent web site is essential – most importantly to act as your ‘shop window’. Social media, I’m not so convinced about. I know its various forms can be brilliant for connecting to readers – but only if what you’re commenting / posting / tweeting about is genuinely interesting to other people. I also worry too many authors obsess over numbers of followers / likes / retweets etc etc etc. That’s energy they could use for writing! What’s next for you and Murder Squad? For Murder Squad, there are always some events on the horizon, either collectively or individually. Details should be on our site, www.murdersquad.co.uk. For me, it’s to finish the current novel (nearly there!) then take a few weeks to research and plan my next DI Spicer thriller. I need to know about helicopters for this one: the ones used to save lives at sea and the ones used to obliterate lives on land.